• Süderoog – 60 ha, 1 Warft, 2 inhabitants. • Südfall – 50 ha, 1 Warft, bird sanctuary. 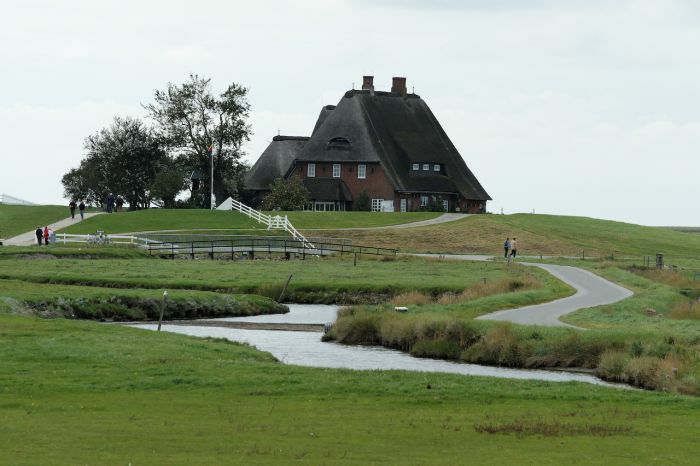 • Hamburger Hallig – 50 ha, 2 Warften, uninhabited, inn occupied in summer, joined to the mainland by a 4 km-long causeway and a polder. • Norderoog – 9 ha, no Warften, bird sanctuary tended year-round.